Try our New Flexible Filament! People often wonder what sort of materials can be 3D printed. Actually, 3D printers can print a wide variety of materials including plastics, metals, wood, paper, and even chocolate! Most of the printing done in our Lab uses a material called PLA, which is a strong, hard, and rigid thermoplastic made from corn. PLA is great for a wide variety of uses, both fun and practical. However, for some uses, a softer more pliable material may be preferable. 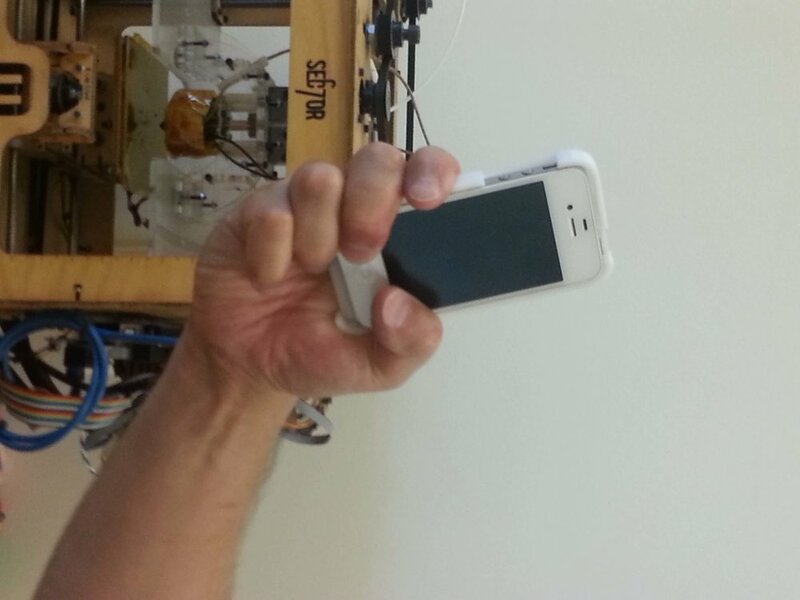 For example, some users may prefer a smartphone case that is soften and more tactile. 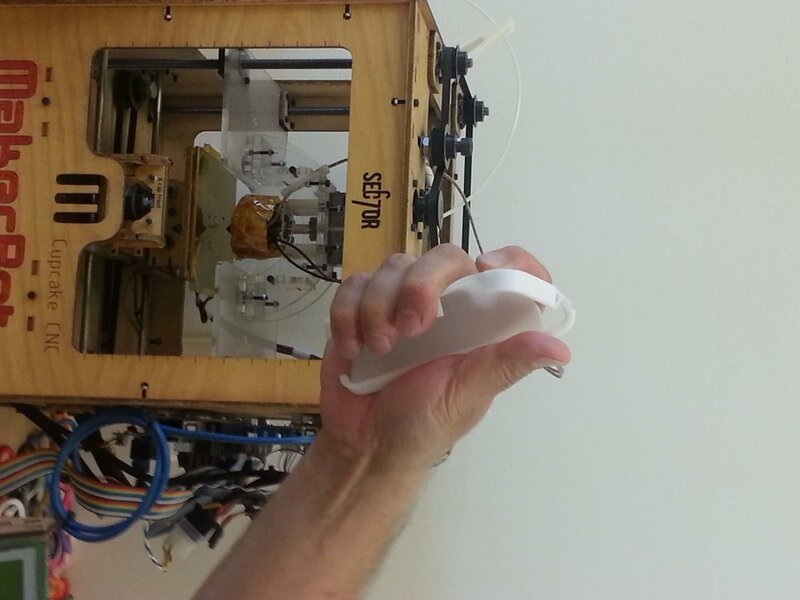 To address this need, our Lab has been experimenting with a new flexible plastic filament offered by MakerBot. This material is a more expensive than PLA and more challenging to print, but produces objects that are soft to the touch and incredibly flexible. 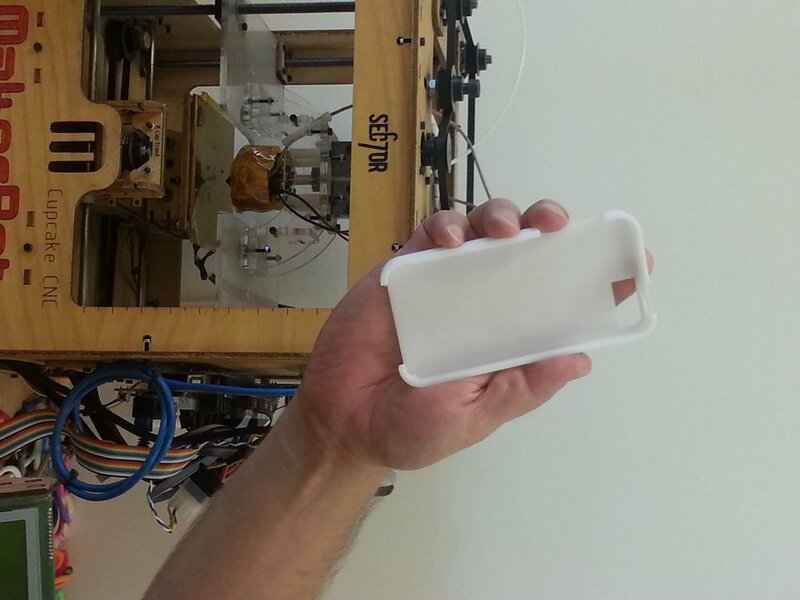 The photos above show an iPhone case that our Guru Kevin recently printed in our Lab. So if you have a need for this type of material, we can help!